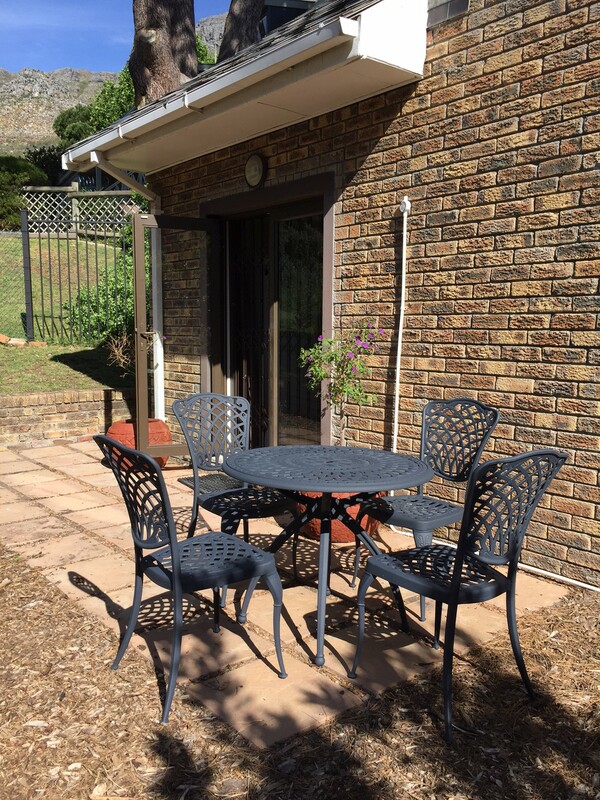 Charming, central, secure and fully equipped self catering apartment. 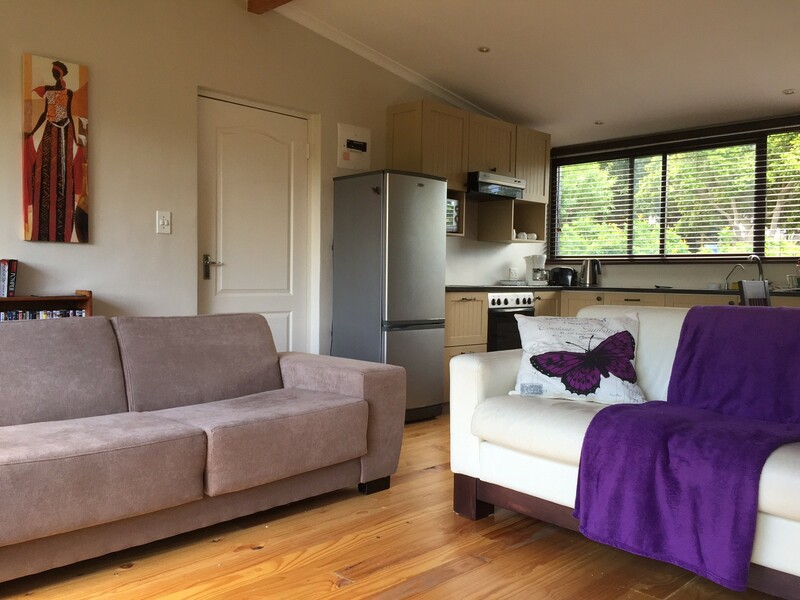 Whether you are looking for a quiet break away from it all, or a central place to call home while you soak up all that the City of Cape Town has to offer, you'll find Serendiptiy nestled in Hout Bay. 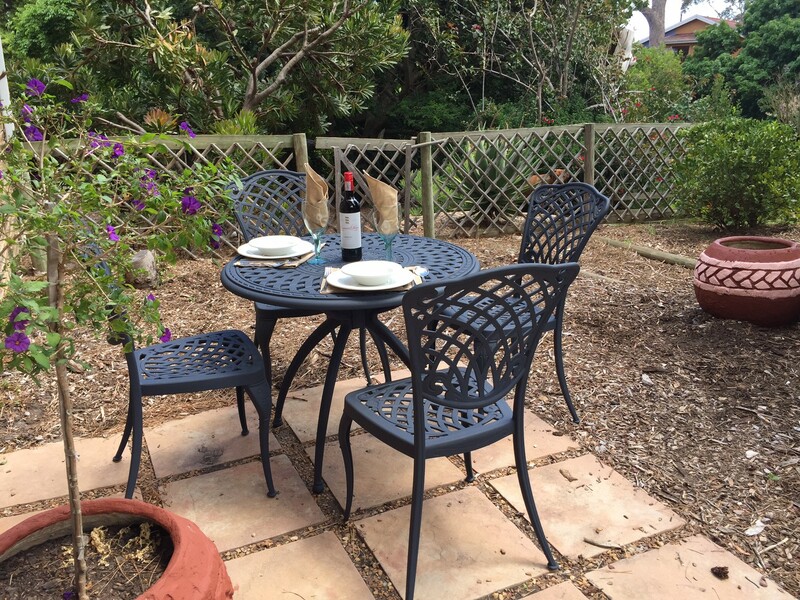 Located within walking distance of the beach, the shops and the Sunday Craft Market, you can take time out to just relax and enjoy your stay. 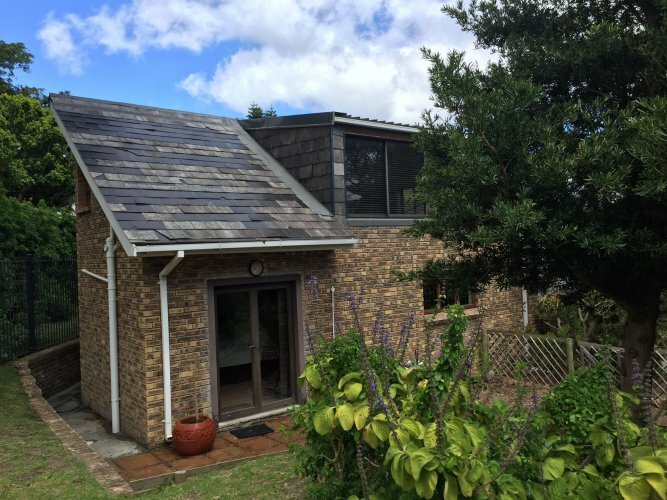 Serendipity at no 19 boasts beautiful mountain views with the charming bubbling of the Baviaans River bordering the property. 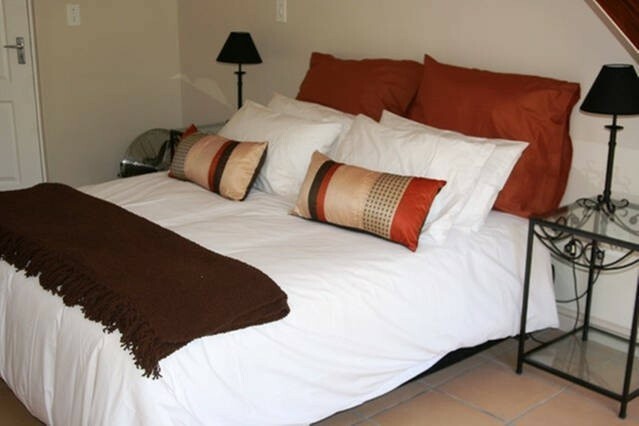 Serendipity is fully furnished and equipped with what you will need to make your holiday one to remember. 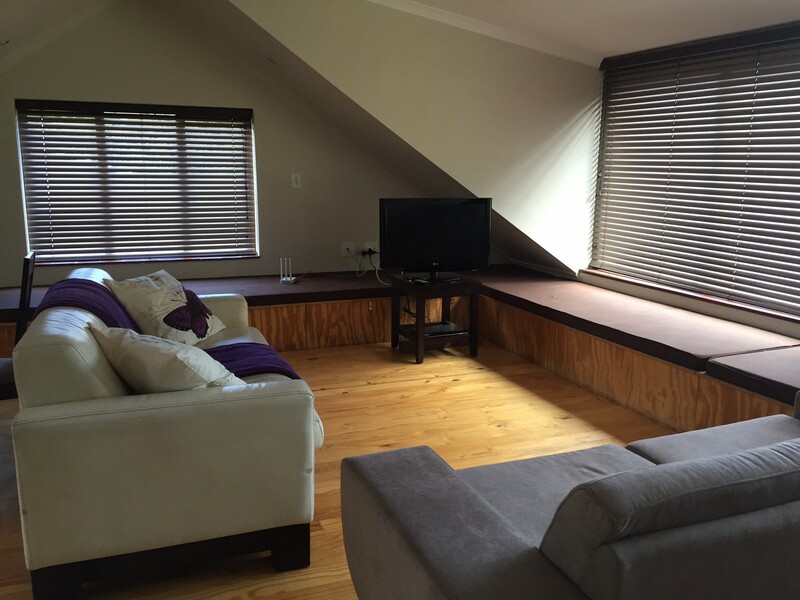 Lounge with TV and DVD player. We have a varied and extensive collection of movies you can watch. 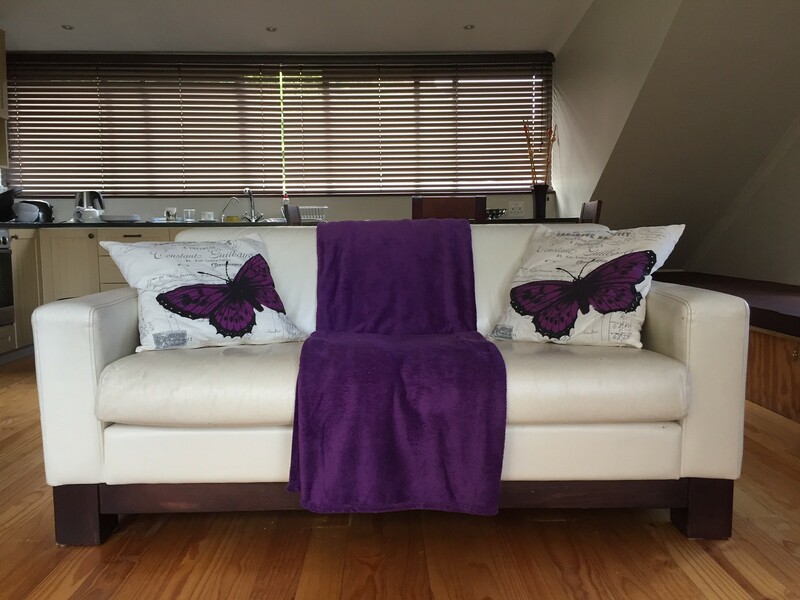 High quality double bed sleeper couch in the lounge (sleeps 2 additional guests) plus a second double seater couch. 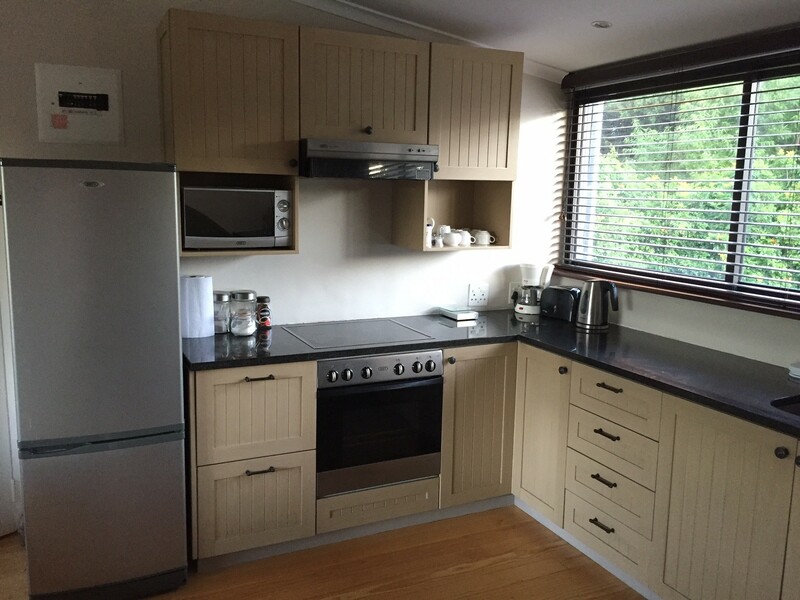 Kitchen, fully equipped with fridge/freezer, oven, hob, microwave, dishwasher, toaster, kettle etc. 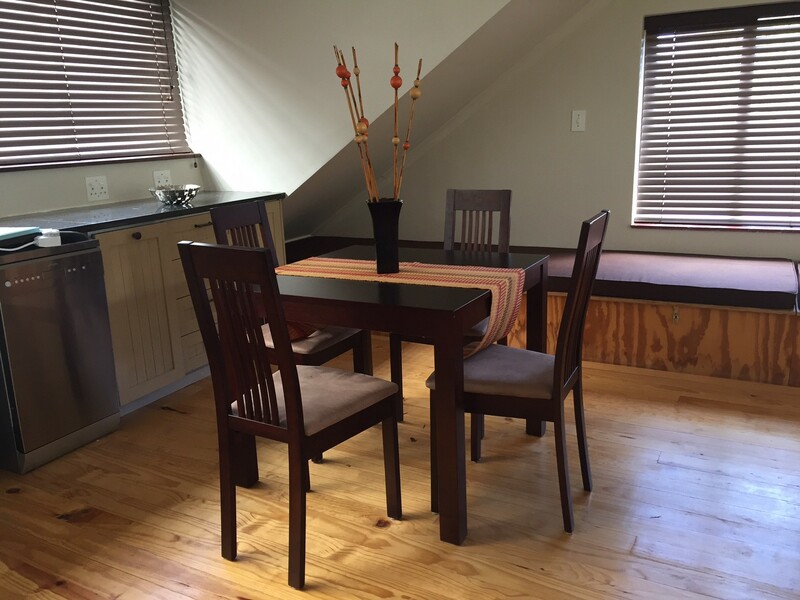 Dining area with 4 seater table. We ask our guests to respect our no smoking policy. Unfortunately no pets allowed. Ulysses, our Rhodesian Ridgeback, lives on the property, but stays down at the main house. 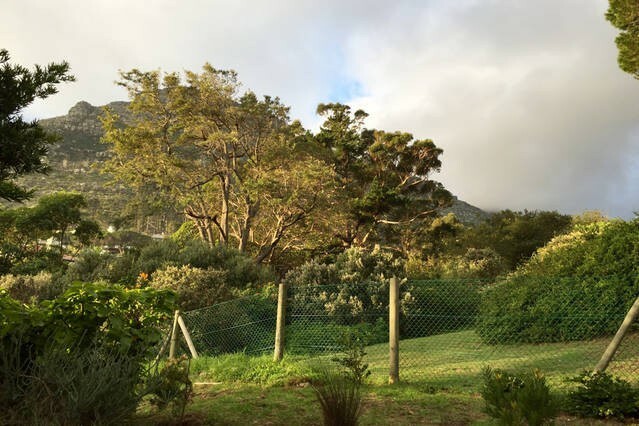 Hout Bay has embraced a Green initiative, and we encourage our guests to recycle what they can. Rubbish collection on Thursday mornings, time is variable at present. There is a black wheelie bin for landfill; clear plastic bags for anything reusable or recyclable. Contents to be clean and dry.